Switzerland’s Lugano–Ponte Tresa Railway (FLP) has signed a contract with Stadler for nine seven-car bidirectional tram-trains. The value of the deal has not been disclosed. The metre-gauge rolling stock combines the characteristics of a tram with those of a train and comes from Stadler’s Tramlink platform. They will enter commercial use in 2020, when they will replace the complete fleet of 1978-built Be4/12 railcars. The new trains will meet increased demand in commuter traffic and the planned expansion of the network. 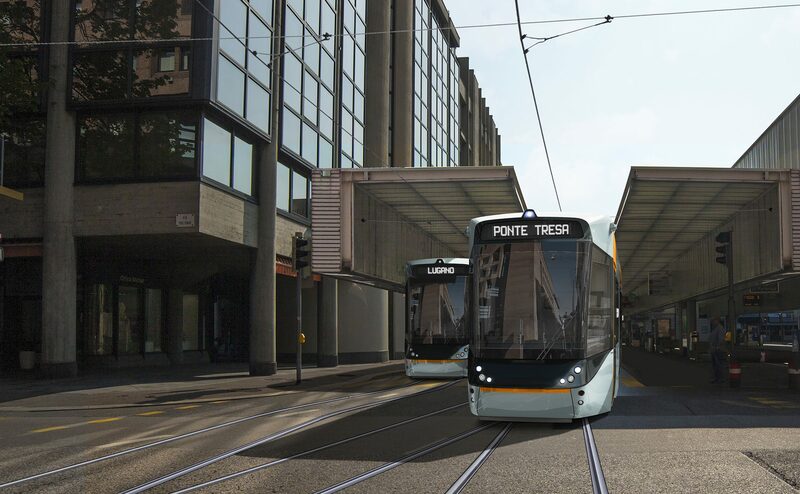 In an initial phase, the new tram-trains will be put into service on the route between Lugano and Ponte Tresa. From 2027 they will then run through the new 2.3km tunnel into the centre of Lugano. The trains will eventually also be used on the new track section between Bioggio and Manno. An option for an additional three rail vehicles is also included in the deal, and both parties are currently negotiating a 20-year maintenance contract. Stadler has previously supplied FLP with five low-floor intermediate cars produced in Altenrhein, St Gallen, Switzerland. These vehicles were incorporated into five of the seven commuter trains currently in operation. Stadler CEO Thomas Ahlburg said: “We are proud to be able to supply a Tramlink rail vehicle to Switzerland for the first time. FLP director Roberto Ferroni added: “These new trains represent a huge step forward. The tram-trains can reach a maximum speed of 80km/h, seat 70 people, and offers standing room for a further 228 passengers.